This page is one of those to enable the Friends to share activities and opinions from different places where Coleridge lived and worked. Do please email us (tsackett@btinternet.com) with information about forthcoming events and articles which you might wish to share. As time goes on we will build a picture of the impact and influences these special places had on Coleridge’s life and thought. So do please send us material to start the ball rolling. 1802 Returns north hearing Sara Hutchinson is ill; writes Letter to Sara Hutchinson; Dejection: An Ode (a version of ‘Letter’) published in the 'Morning Post' on his wedding anniversary (and Wordsworth's wedding day); Sara Coleridge born (23 December). 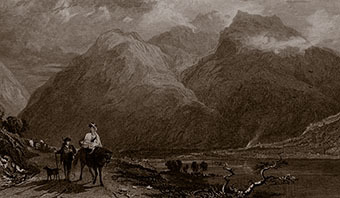 In August Coleridge performs his famous and pioneering nine-day Scafell fell-walking excursion. He has been called the first British mountaineer! 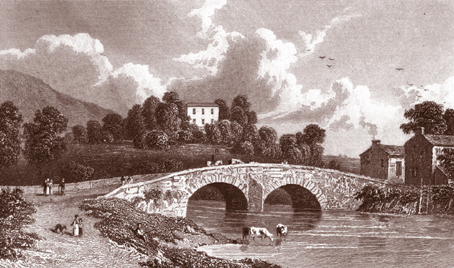 1810 Travels to London with Basil Montagu, who passes on Wordsworth's disparaging remarks.